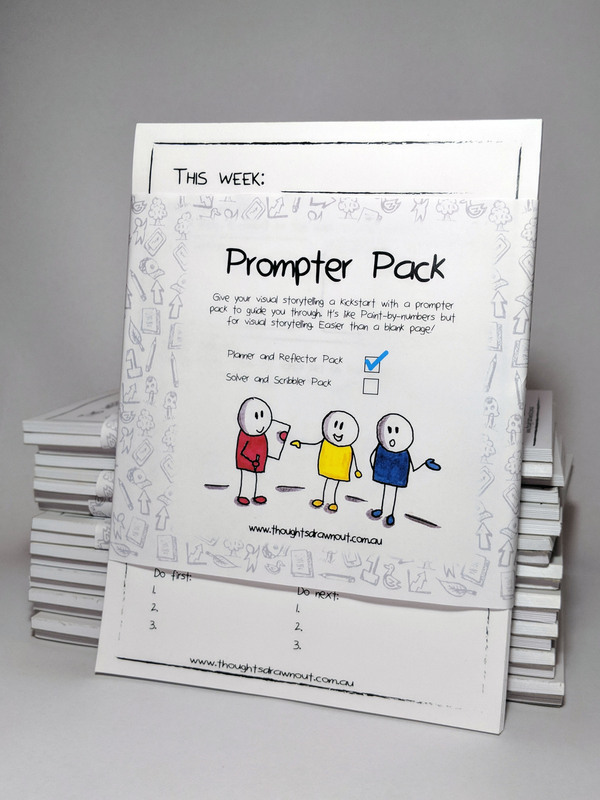 Don’t let a blank page put you off, start visual storytelling with a Prompter Pack. 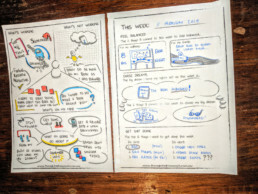 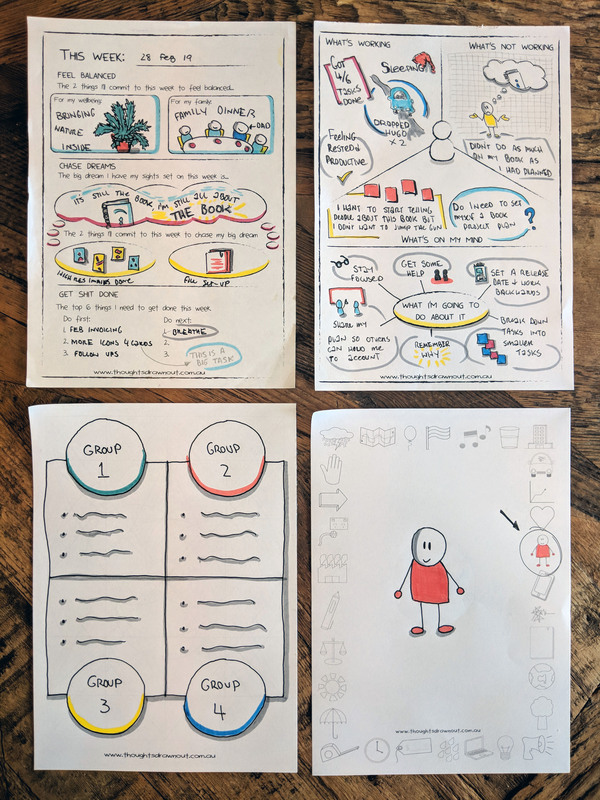 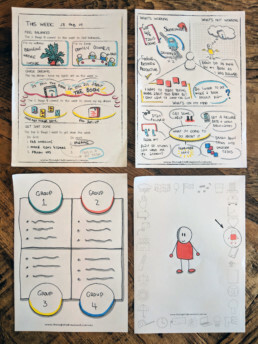 When you start visual storytelling, a blank page can be a daunting proposition. 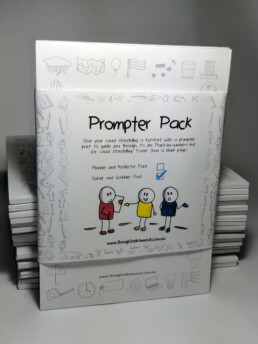 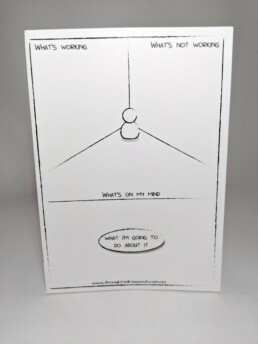 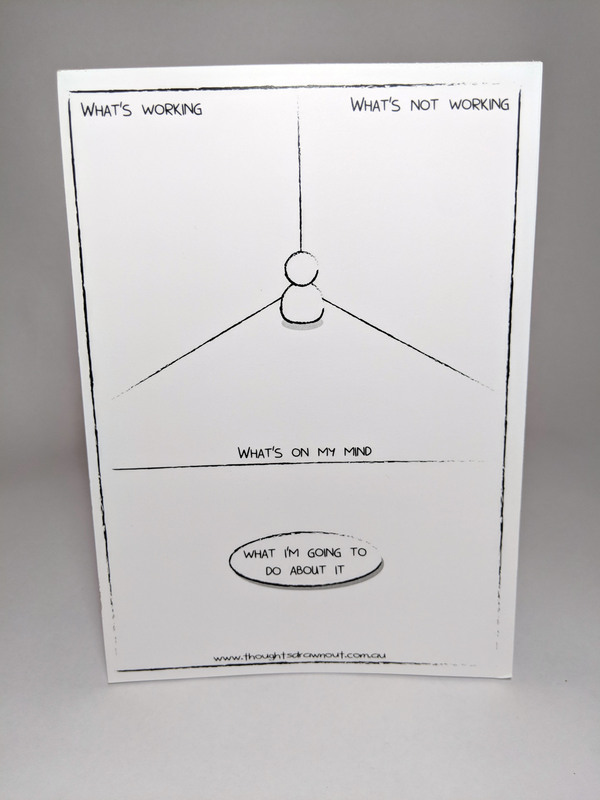 Prompter Packs have been designed with this is mind. They allow you to pick up your pen and start drawing without the fear of the blank page. Their compact A5 size makes them easy to carry around with you. 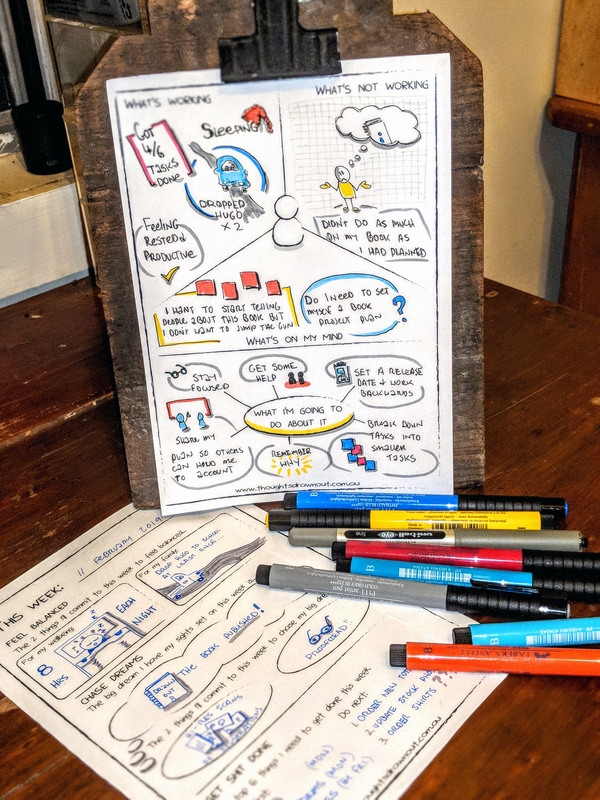 The Planner and Reflector Pads are for those who like to draw with a purpose. 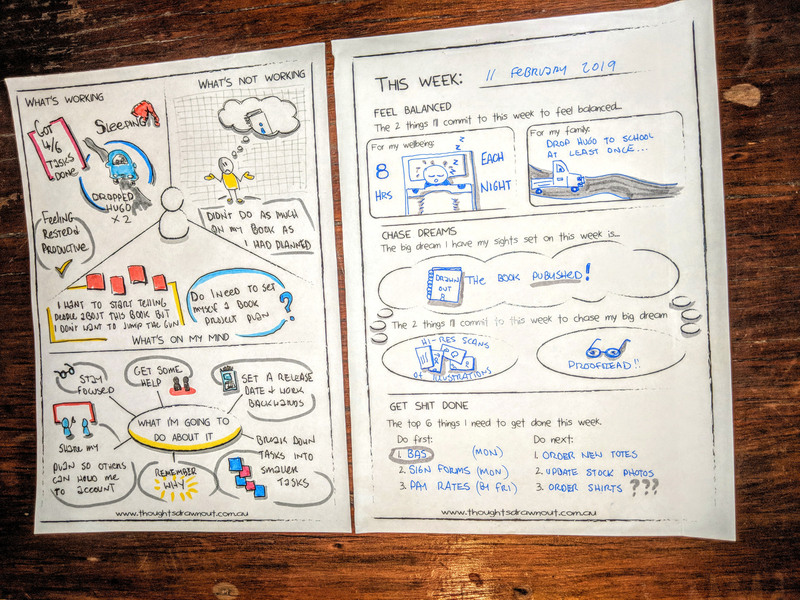 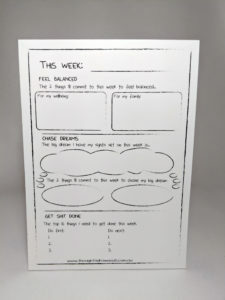 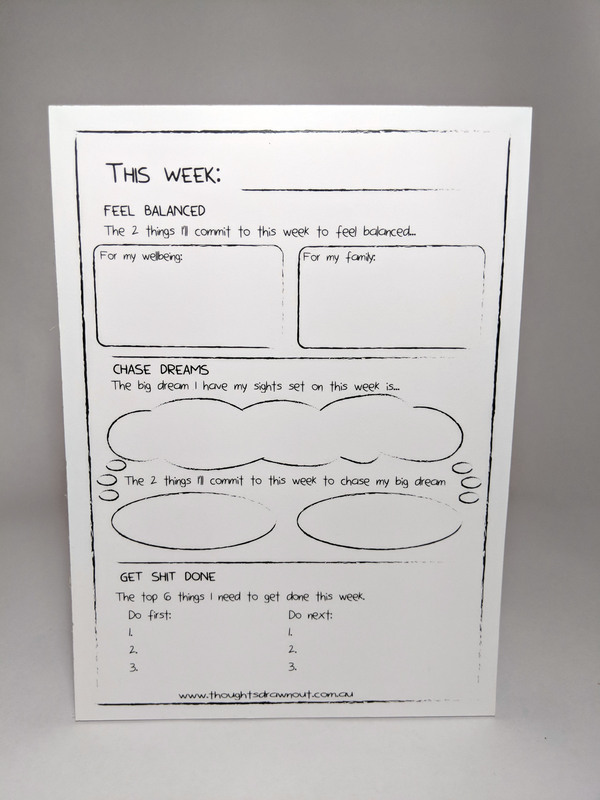 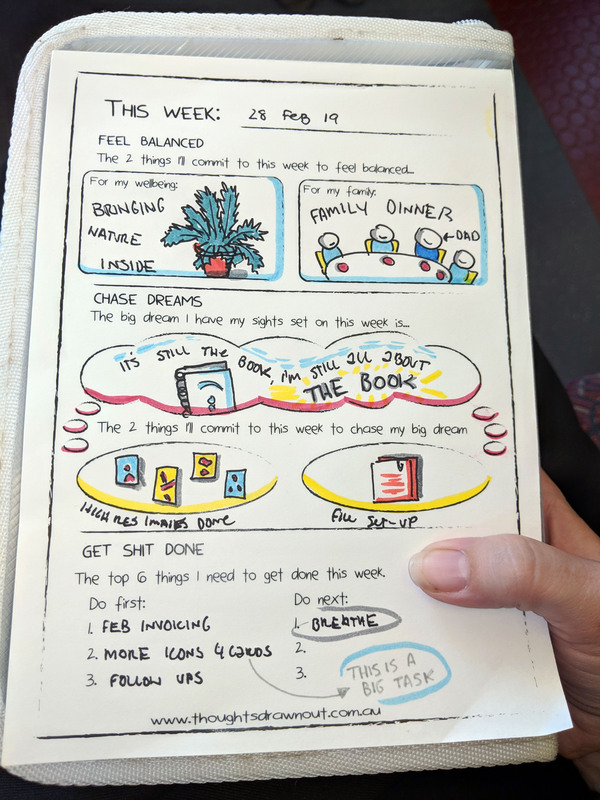 The Planner Pads is your visual plan for the week and the Reflector Pad is your reflection page at the end of the week before you put a new plan in place.